On April 29th 2016 Cencosud held its Annual Shareholders Meeting, in which the directors of the Company were elected for the period 2016-2019. Mr. Paulmann is our Chairman of the Board and founder of Cencosud S.A. He has served on our Board since November 1978. He has served as a Director of the Chilean—German Chamber of Commerce (CAMCHAL) and the Chilean Chamber of Commerce. Mrs. Paulmann has been a member of our Board of Directors since April 1999. She has a degree in business from the Universidad de Chile and an MBA from Universidad Adolfo Ibañez. Mr. Paulmann has been a member of our Board of Directors since September 1996. Mr. Paulmann currently is the Chief Executive Officer for Importadora y Comercial Regen Ltda. and has also served as Director of our shopping center division in Chile since 2002. He has a degree in business from the Pontificia Universidad Católica de Chile. Mr. Büchi was elected an independent member of the board in April, 2013. He holds a civil engineering degree from Universidad de Chile and an MBA from the Wharton School of Business from the University of Pennsylvania. On March 2013 he took over the executive vice-presidency of ENTEL’s mobile phone division after having acted as the company’s CEO for 18 years. Additionally, Mr. Büchi was chairman of the board of Entel PCS and Entelphone. 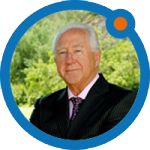 Mr. Eyzaguirre has been a member of our Board of Directors since 2005. He has an economics degree from Universidad de Chile and a Master of Arts in Economics from The University of California, Berkeley. Mr. Eyzaguirre is the former Chief Executive Officer of Banco Bice and Chief Financial Officer of Empresas CMPC S.A., and was a professor of Economics at the Universidad de Chile. He is currently a Director of various companies, Vice chairman of the advisory committee for the Chilean sovereign investment fund and a member of the Investmenet Committee of Hogar de Cristo. Mr. Moura has been a member of our Board of Directors since September 2011. Mr. Moura also serves as a director of Natura Cosméticos, Brinox, RAPS and as Chairman of Instituto Arapyaú. Prior to joining Cencosud, Mr. Moura served as Chairman of Masisa from 2002 to 2007, and as Chief Executive Officer of Amanco and of Grupo Nueva on the period 1998 to 2007. Mr. Moura was Executive Vice President of Schindler Group, Switzerland, from 1992 to 1997 and member of the Board of World Business Council for Sustainable Development in Ginebra, from 2000 to 2010. Mr. Moura holds a Master’s Degree from M.I.T.’s Sloan School of Management and an Engineering Degree from the Swiss Federal Institute of Technology (ETH). Mr. Philipps has been a member of our Board of Directors since 2003. He has held several executive positions with the Techint Organization and previously with Exxon Corporation. He is a former President of the Argentine Financial Executives Association and serves on the board of companies in Chile and Argentina. Mr. Philipps has a degree in business administration and accounting from the Universidad de Buenos Aires and completed the Advanced Executive Program at the Kellogg University. Mario Valcarce Durán has a degree in Business Administration from Pontificia Universidad Católica de Valparaíso. Mr. Valcarce was CEO of Enersis S.A. from 2003 until 2006 and became the Chairman of Endesa S.A. on 2006 to exercise said position until 2009. Currently he’s part of the Board of Directors of Grupo Costanera SpA, Energía de la Patagonia, Aysén S.A., Empresas Navieras S.A., Besalco S.A. and Transelec S.A., since 2010.